A NEW-build locomotive which had steamed only a handful of occasions since it was outshopped in 2006 has begun a new career as part of the Lappa Valley Steam Railway fleet in Cornwall. Built in 2006 by the Exmoor Steam Railway for a private 12¼in garden line, 0-4-2T Ellie was steamed on only a handful of times. 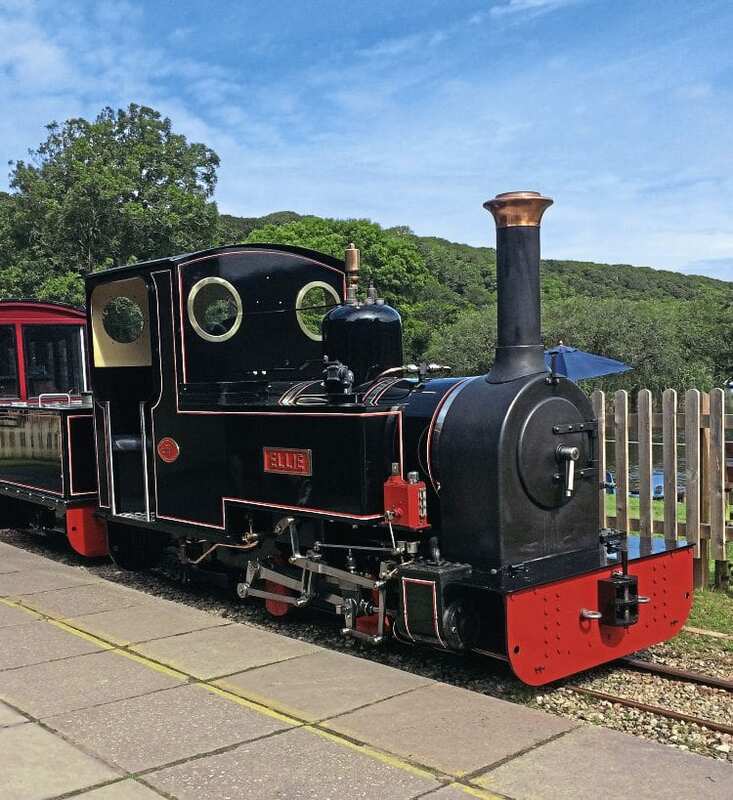 Ellie returned to its builders at Exmoor where it remained for several years, until the winter of 2016-17 when it was rebuilt and regauged to 15in so it could work at Lappa Valley, where it arrived on August 8. Although very similar to the line’s other resident Exmoor engine Ruby, Ellie is considerably more powerful to haul the heavier trains and slightly larger – making Ellie a very comfortable locomotive to drive and be pulled by. Joining the line’s other recent addition, the diesel City of Derby, Ellie will be working on the main line taking visitors in and out of the leisure park, where facilities have been expanded this season. The railway is laid on part of the trackbed of the GWR branch from Newquay to Perranporth, St Agnes and Chacewater, and is based at St Newlyn East. Celebrating more than 40 years of operation, the railway and leisure park are owned and managed by Keith and Sara Southwell. The couple are heavily involved in a programme of significant enhancements for the leisure park over the next five years with a view to making Lappa Valley the ‘must visit’ attraction in Cornwall. Read more News and Features in Issue 233 of HR – on sale now!